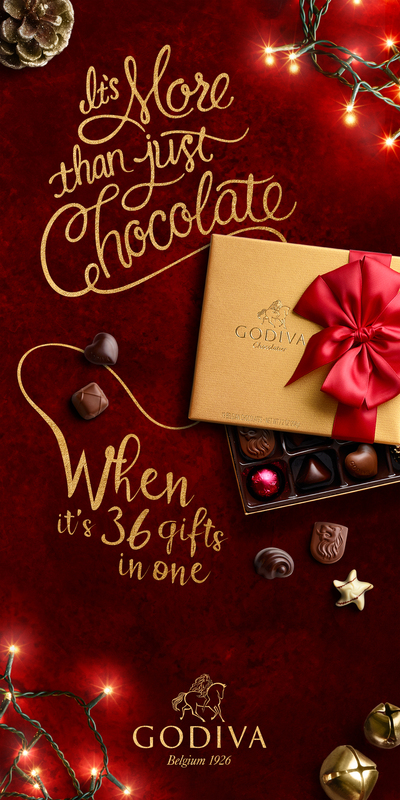 All we wanted for Christmas was a box of chocolates bigger than our heads. 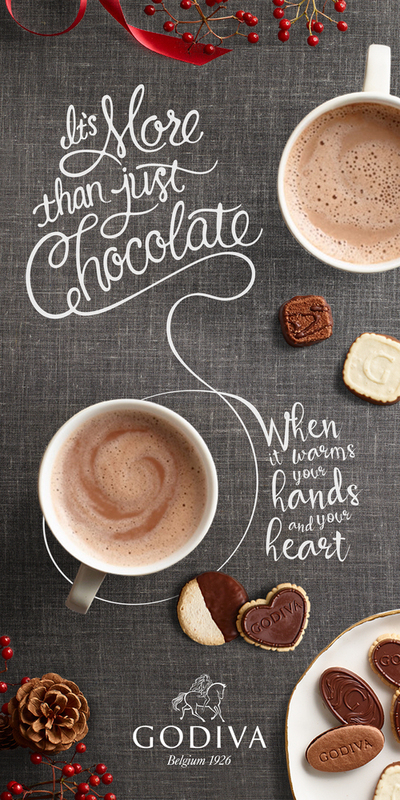 In return, we gave Godiva its first-ever tagline, a whimsical chocolate-drizzled typography, a photography style with a human touch and over 200 headlines. AdAge gave us this shout-out. Introducing a solid gold box that can be infinitely refilled and passed down to your children’s children. We planned to auction the first box off for charity. We explored ways to extend the campaign into other seasons.